Trade shows are the perfect opportunity to network and stay on top of industry developments. Although Summer is finally coming to a close, there is still a lot of excitement to be had this year in the world of printing technology. Coming up this September are two very important trade shows: SGIA Expo and Graph Expo. Here’s a quick look at what they are and why you need to be there! 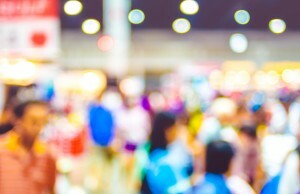 Trade shows offer businesses a unique opportunity to reach out to their customers and build an awareness for their products and brand. If you’re a customer, the trade show experience not only gives you insight into up and coming printing technologies, but enables you to network with some of the most talented experts in the industry. Trade shows are essential for staying up to date on the latest developments and innovations, but they are also an opportunity for buyers and sellers to interact face to face. In some cases, attendees will even end up purchasing equipment or software on the spot. Remember, the vendors are competing for your attention, so use that to your advantage! While the saying, “What happens in Vegas, stays in Vegas,” rings true for many, you’ll be able bring home huge benefits from the Las Vegas SGIA this September 14th-16th. Many of the industry’s leading imaging professionals will be showcasing their latest technologies, methods, and applications. You’ll also be able to explore exhibitor booths from wall to wall, meet with top industry executives, equipment experts, and industry gurus to discuss how you can better grow and diversify your business. Kicking off this September 25th and running through the 28th, Graph Expo 2016 is being held at the Orange County Convention Center in Orlando, Florida. Graph Expo is an opportunity to discover new profit opportunities and trending business solutions. Featuring the largest display of live running equipment in America, Graph Expo will enable attendees to make informed purchasing decisions in the most practical way possible — hands on. Atlantic Graphics Systems will be at the Horizon booth, so make sure to stop by and say hello! This entry was posted on Friday, August 26th, 2016	at 2:15 pm	and is filed under Blog	. You can follow any responses to this entry through the RSS 2.0	feed. Both comments and pings are currently closed.